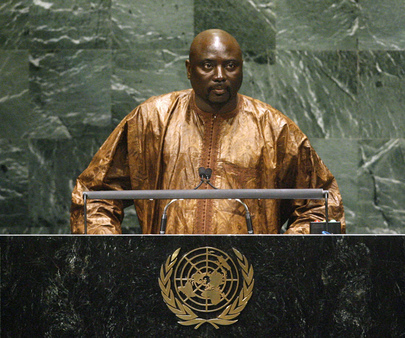 MAMADOU TANGARA, Minister of Foreign Affairs, International Cooperation and Gambians Abroad of Gambia, said recent upheavals and crises in the international arena had thrown into sharp focus what the United Nations could and must do to coordinate global responses and solutions to global issues. For that reason, the theme of the Assembly’s current session — reaffirming the central role of the United Nations in global governance — was very apt and timely. Part of the discussion should focus on organization-wide reform because without it, the United Nations could not be of relevance in the twenty-first century. He noted that the Security Council should “change for the better”, and, in the absence of action to implement serious reform, the 15 member body’s legitimacy would be called into question. “It is therefore high time to stop consigning Africa to a fate of second class membership in the United Nations through its perpetual exclusion from the important decision-making in the Security Council,” he said. For many years, he had called for a greater voice for developing countries in international and financial matters, and today, he renewed that call “with deep urgency”. Developing countries believed the Economic and Social Council should be the leading platform for the discussion and formulation of global policies in the economic and social fields. At the height of ongoing economic crisis, he said that attempts were made “to undermine the voice of developing countries and expose them to situations of greater vulnerability.” Gambia had maintained its focus on attaining the Millennium Development Goals. However, in the “last stretch” before the 2015 deadline, the critical need for greater international solidarity and partnership could not be overemphasized. Touching on other topics, he mentioned the role the United Nations could play in promoting good governance; the fact that the Human Rights Charter and other instruments provided sufficient grounds for dialogue; and the role international criminal law could play in global governance. It went without saying that Africa was the perpetual target of exploitation and a specimen or subject of marginalization. Africa was isolated in global trade, technology and cooperation, and African leaders were targeted and humiliated in unfair proportions. As the case of Africa showed, global governance had to go beyond political systems “to embrace exposing and neutralizing strategies employed to subdue fragile States”. Good governance needed to permeate the finance structures, in order to render them more effective. There were regional structures in almost every corner of the globe. The United Nations had to recognize these structures and work closely with them to quell unrest wherever it erupted, he added.